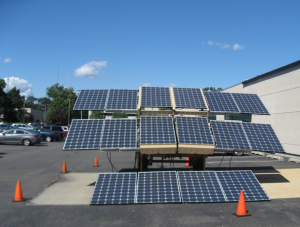 2013 was a great year for Bloomy Energy Systems growth in providing test, data acquisition, and control products to the fast paced battery, electric vehicle, and grid storage industries. With the energy storage market rapidly evolving, and few test standards existing, energy storage companies are taking various approaches to solve their testing challenges. Bloomy has optimized our platforms to provide robust solutions that can be configured for our customers’ unique needs. The recent partnership of Nuvation and Bloomy has led to a joint presentation at the Advanced Energy Technology Congress in San Diego, CA on November 12 to 15. Michael Worry, CEO of Nuvation, and Jonathan Murray, Business Unit Leader of Bloomy Energy Systems, discussed the advancements of Battery Management Systems (BMS) and how to improve reliability through testing with a Battery HIL Test System. 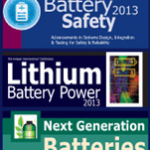 The presentation is part of Battery Safety 2013, focused on the advancements in system design, integration, and testing for safety and reliability. The Battery Show is Upon Us! 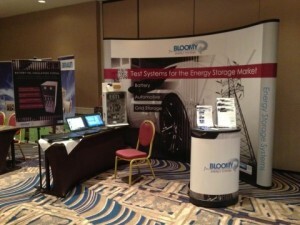 Bloomy Energy Systems will be exhibiting at The Battery Show in Novi (Detroit), MI from September 17 to 19 and will be showcasing our different products for testing Battery Management System (BMS) from R&D rapid prototyping, validation and verification testing, and end of line manufacturing test. A demonstration of the Battery Simulator 1200 will show how safe and efficient testing can be performed for Electric Vehicle BMS systems. 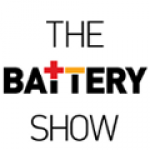 Read more about The Battery Show is Upon Us! NIWeek 2013 takes place Aug. 5-8 at the Austin Convention Center in Austin, Texas, and features technical sessions, interactive demonstrations and keynotes on the latest advances in control, design and test. More than 3,200 engineers, educators and scientists from around the world are expected to attend the conference. Bloomy Energy Systems will be exhibiting at the ESA 2013 Conference in Santa Clara, CA from May 20th to the 22nd. We will be demonstrating our featured product platforms: High isolation battery simulation systems, Grid monitoring and control systems (EnergyMAX), and the Energy Storage System (ESS) Performance Tester. Visit us at booth #407. Bloomy Energy Systems will be exhibiting at the Next Generation Battery Conference in Boston, MA from April 30 to May 1st. We will be demonstrating our featured product platforms: Battery Simulator 1200, high isolation battery simulation systems, and grid monitoring and control systems (EnergyMAX). Visit us at booth #212.